Enjoy Comedy Magic & Hypnosis Show, where you will see for yourself the power of the mind with fun demonstrations. Hypnosis is a natural state of consciousness and a beautiful realm of relaxation. Our Hypnotists will prove that “whatever you visualize becomes your reality.” Our hypnosis shows are for the whole family, kids and adults, but only adults who volunteer will experience the hypnotic trance and play fun roles that will keep the audience laughing. Unlock the power of your mind with our Hypnosis Shows! Our Comedy Magic & Hypnosis Show is a dynamic and interactive event involving audience participation. All of our magicians and hypnotist’s have vast experience entertaining throughout the world in theaters as well as for large, corporate events and private parties. 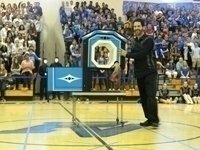 Our Magicians dazzles audiences with their award-winning sleight-of-hand and hilarious delivery of confounding magic tricks. Their Magical Shows leaves audiences gasping in surprise between fits of laughter. Entertainer!